Modern and chic Flat Top Ring completely handmade by me. It is made of 14K gold, Rose gold or sterling silver and has been full hammered to give a spectacular sparkle that really shines. 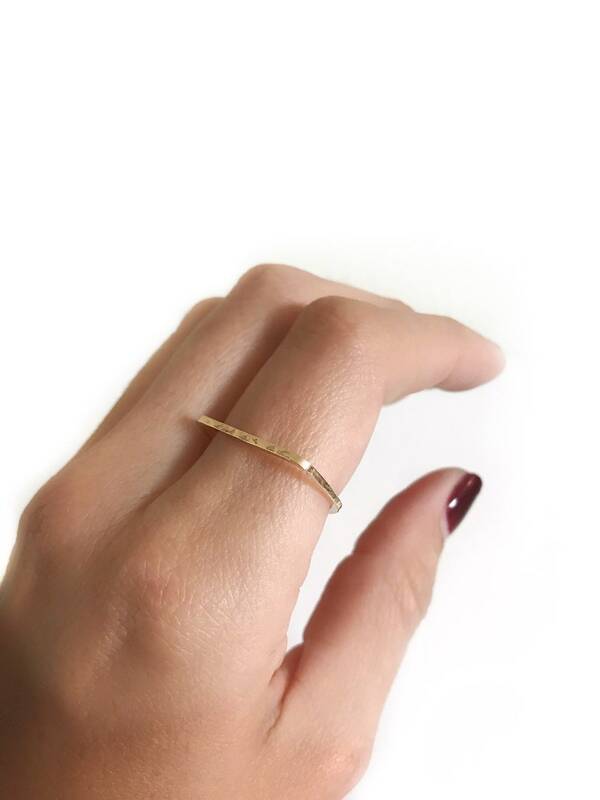 I made this ring with 14karat gold in the solder. All items are made to order. Please check the our policies page, our time to works 1-2 weeks business or for the update production and delivery times please check the top on the announcement page. If you need it sooner, please send us a message on Etsy. Shipping took a while, but was hand made so that is to be expected. Great quality earrings! !